As 2015 kicks off, it is safe to say that the Great Recession is firmly in the past and that the American economy is well on the path to recovery. One of the next steps to cement that recovery will be the raising of interest rates, and all signs point to that happening this year. 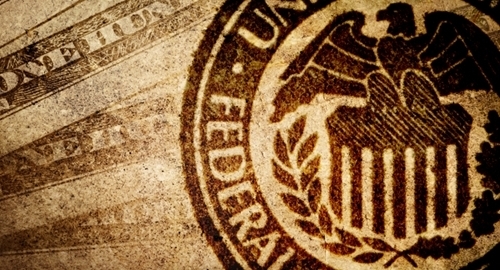 The Federal Reserve System lowered rates to near zero in an effort to boost the economy, and Fed decision-makers have stressed that they are in no hurry to bring them back up. The Washington Post reports that any change may not come until the year's second half, and that when it does it could be a minor one, raising the rates to 0.25 percent before increasing them again to 0.5 percent. This change would be in line with comments made by Fed chair Janet Yellen and other high-ranking officials. "My own view is that the pace of tightening would be actually pretty gradual over the next few years once we start liftoff," said Federal Reserve Bank of San Francisco president John C. Williams at a meeting of the American Economic Association in Boston on Monday. "This is a U.S. economy, (that) although doing a lot better, still needs a monetary accommodation to have above-trend growth, which is what we need for the next few years." Financial services company Bankrate is projecting increases of no more than one percentage point for loans including auto, credit cards and mortgages. Graveco's Contract Collector loan management software will allow lenders to track all of their current operations with up-to-the-minute accounting and reporting, as well as automating collection management tasks, ensuring that any changes to interest rates are taken in stride.